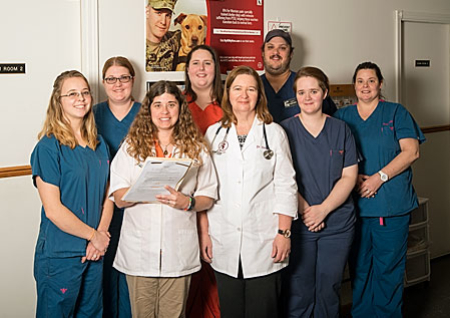 We are proud to offer a skilled veterinary team to make sure our patients receive quality care at all times. We have two full-time doctors as well as a trained staff of technicians and care providers. We invite you to stop by and meet the veterinarians and staff, and tour our facility including our new expansion scheduled for completion in January 2017. Contact us today so we can become part of ensuring the health and well-being of your pets.